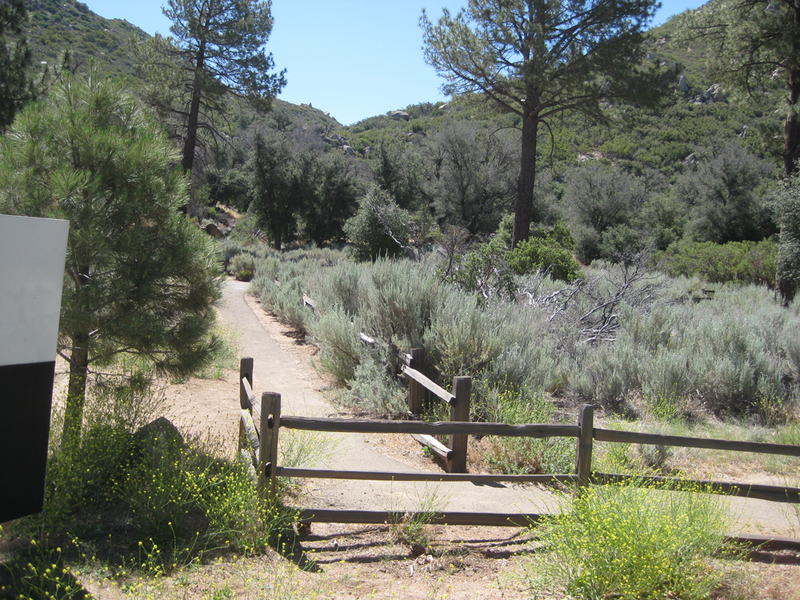 Length of Trail: The Pine Valley Staging area is at the south end of the Noble Canyon Trail, which is 11 miles each way. There are some easier trails of varied lengths to the south in Scove Canyon towards Sunrise Highway and Highway 8. Staging Area: The Pine Valley Staging area is reached by driving 1.2 miles north of Pine Valley on Olde Highway 80, then 1.6 miles north on Pine Creek Road. Water: There may be some seasonal streams on the trail. 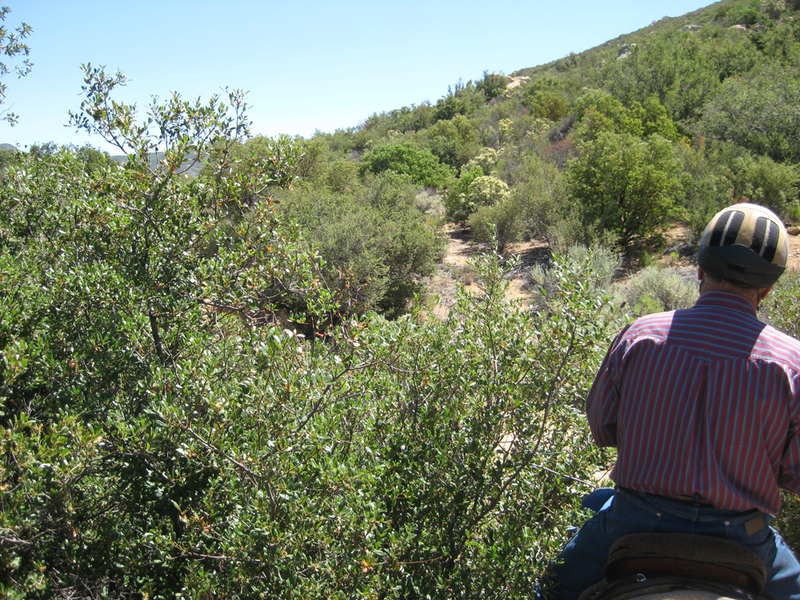 Trail Conditions: Noble Canyon Trail is challenging on horseback. 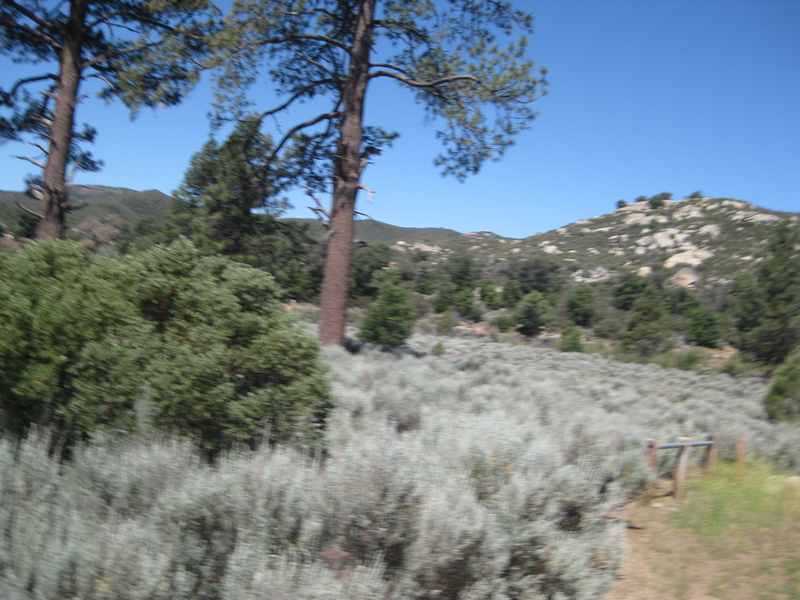 It is very popular with cyclists, who travel from north to south, starting at Penny Pines in the Laguna Mountains, see descriptions in the Laguna Mountains pages. 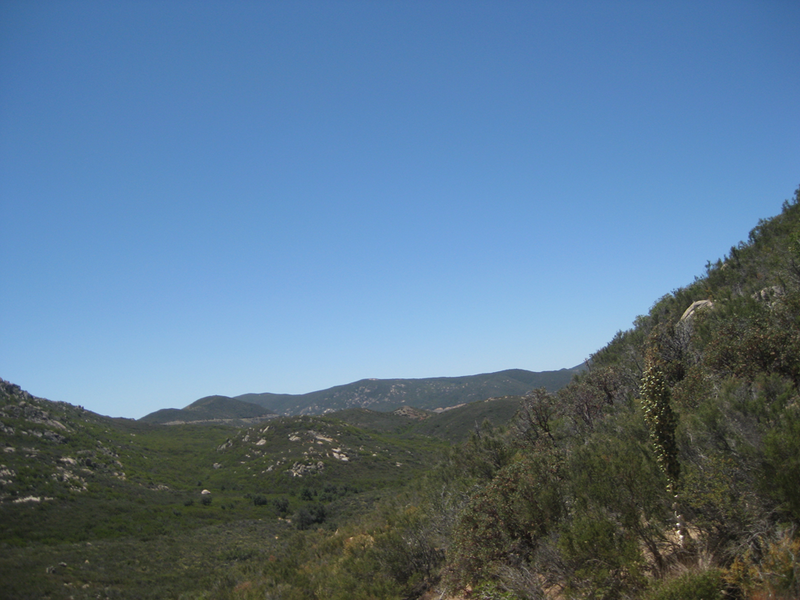 The Noble Canyon trail is a very beautiful trail with dramatic, sweeping views. However, there are areas where the trail is very narrow, steep and rocky. Trail Use: You need a National Forest Adventure Pass to use this area. See the US Forest website or the Cleveland National Forest Descanso Ranger District (619) 445-6253. The passes can be purchased at stores in Descanso and Pine Valley. General Trail Info: Check out the Forest Service website on this trail and the staging areas. 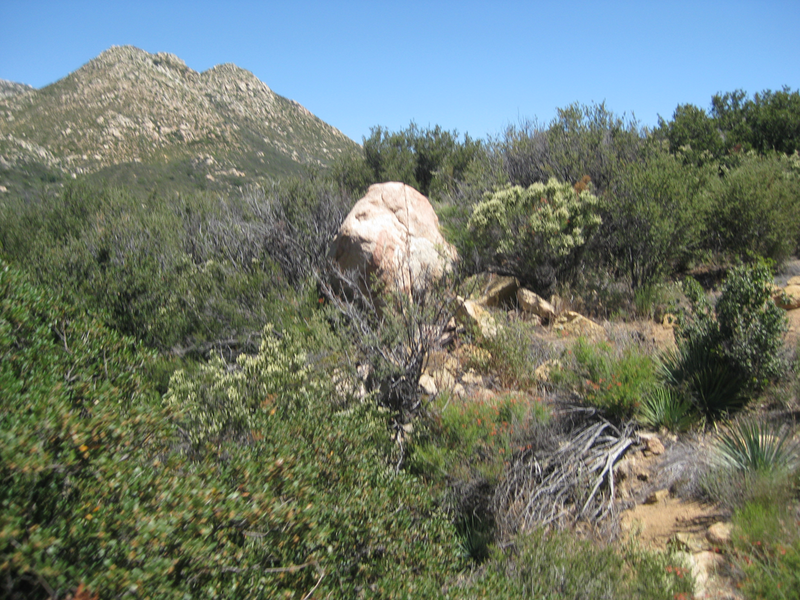 For a description of the Noble Canyon trail, see the Laguna Mountains information. 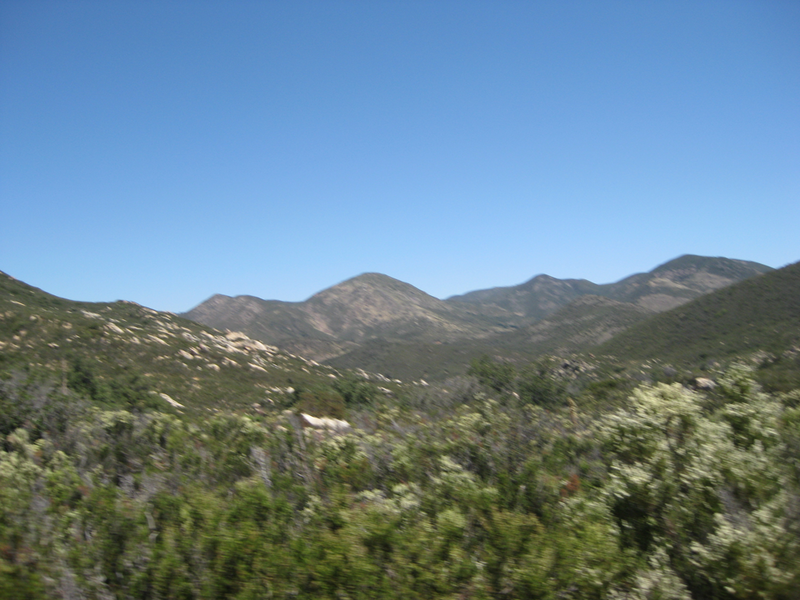 Instead of taking the Noble Canyon trail in a northerly direction, I have gone south into the valley along sandy trails toward Scove Canyon in the Laguna Mountains, see Noble Canyon and Scove Canyon map. There are multiple trails in Scove Canyon, some of which are significantly less challenging than Noble Canyon trail. In addition, they are quiet and tranquil.